Personalized Damask Ribbon Love Hershey's Miniatures Chocolate Wrappers - Click on the "Pricing & Quantity" tab to select exactly what you need. Capture the attention of your guests with our Personalized Damask Ribbon Love Miniatures™ Wrappers! 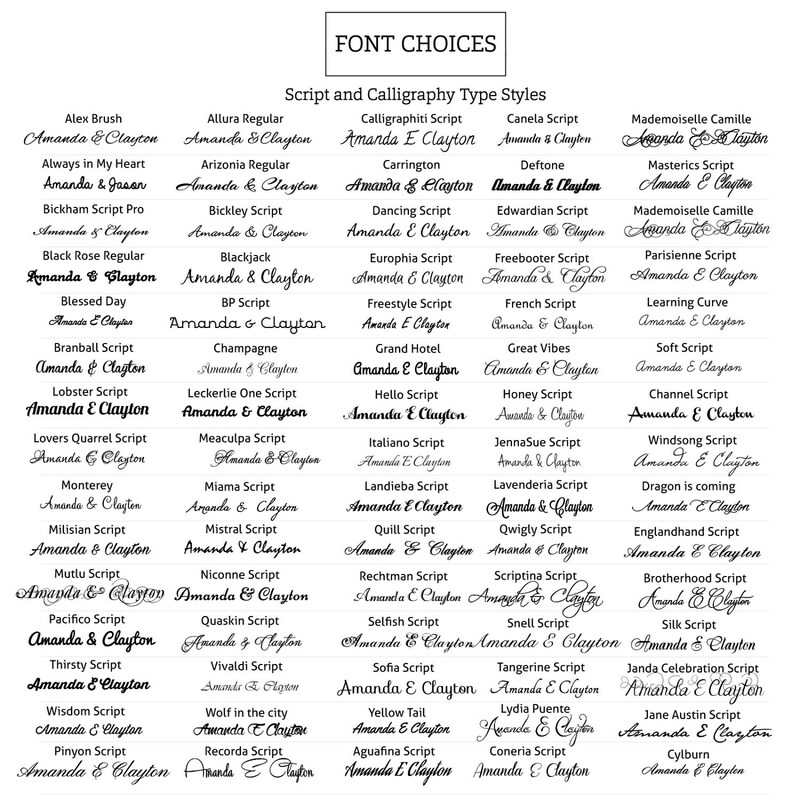 They are an adorable way to make an exciting announcement or express your gratitude to your guests! 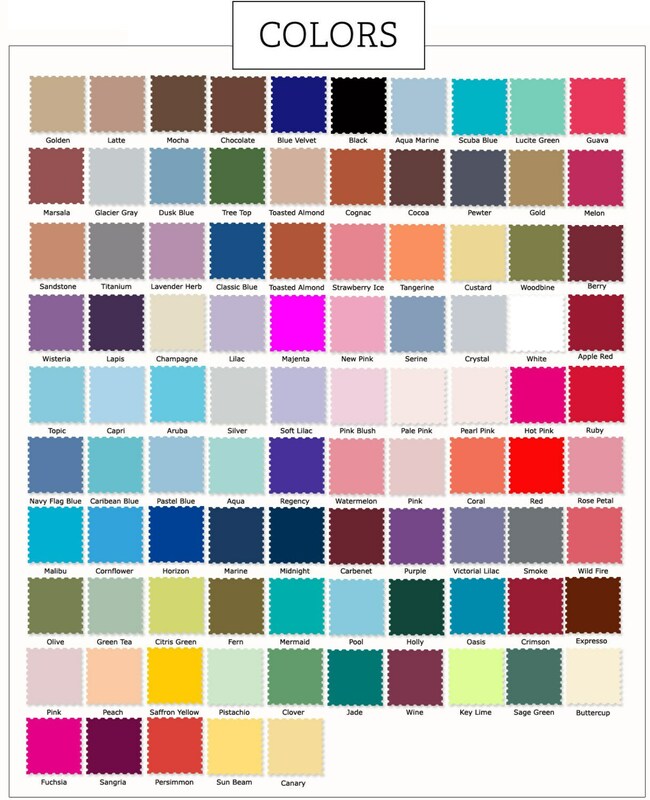 Pick a color that will compliment your wedding colors. 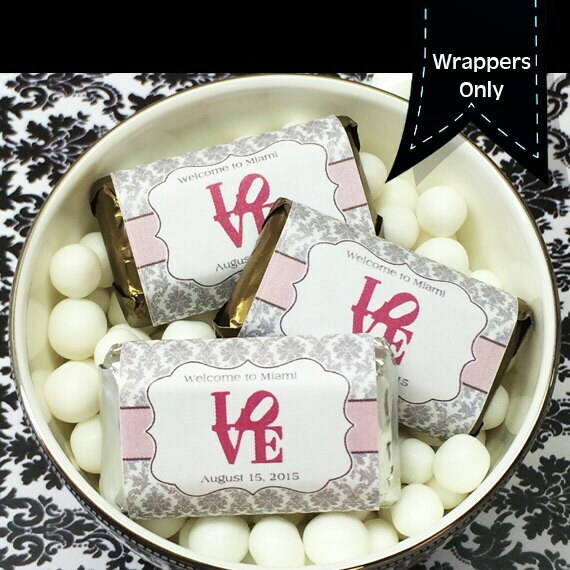 If you are looking for a unique favor for your wedding, rehearsal dinner, or bridal shower these miniature chocolate wrappers will make any Miniature Hershey a special memento that everyone will be sure to love! This treat is a fun and festive addition to the celebration. Pair them with any of your favorite Silhouette chocolates to create your own sweet table spread!